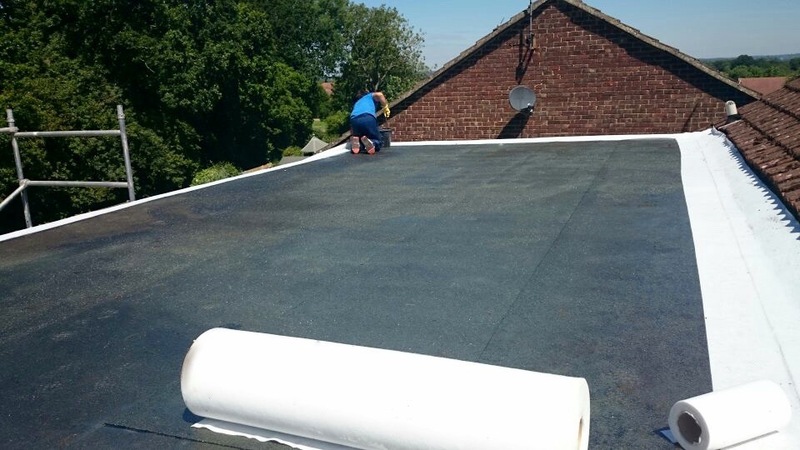 Our aim is to provide a dedicated and high level experienced service that will keep you watertight for many years to come. 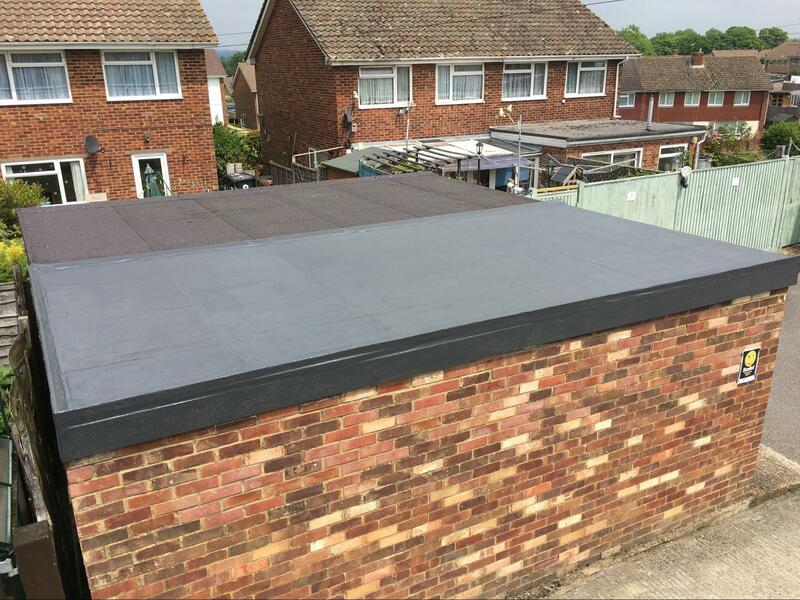 Whether it be your garage roof, bay window, front porch or your typical flat roof – and providing that the substrate is of a sound nature – we promote many overlay systems, renewing your existing flat roof by up to 25 years. We choose to do it this way so as to reduce time and costings for our clients. 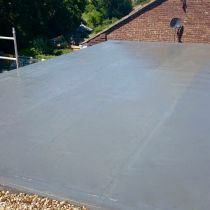 We supply a variety of cold liquid flat roof coverings and are fully qualified for each system we provide. 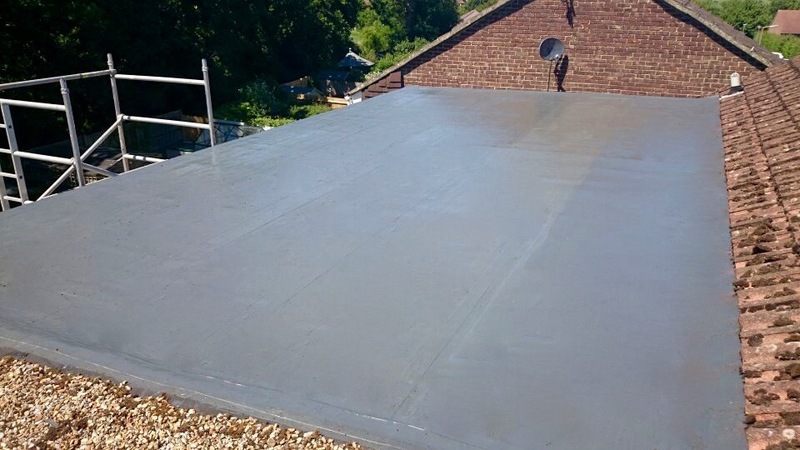 With this particular project we used the Kemper waterproofing system. 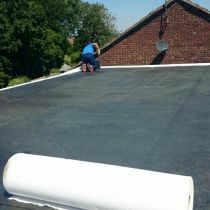 After an initial inspection of the three layered felt roof, we were happy that the substrate was of a sound nature and got to work in cleaning and preparing it for priming. Once the primer had cured, we marked out the areas with fleeces in preparation for the cold liquid system to be installed then got to work. 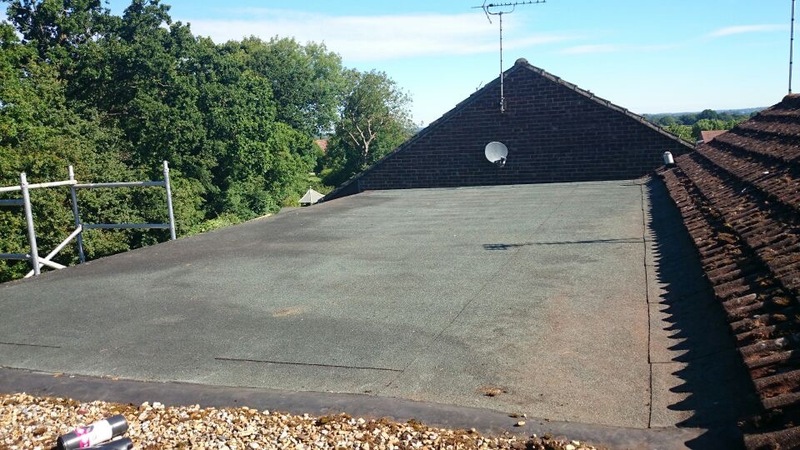 When the product had cured, this particular flat roof was renewed and warrantied for 15 years. 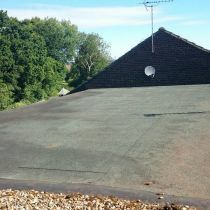 Our client was very happy with the result, especially as it was all completed within 1 working day. 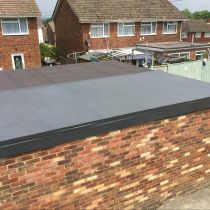 Should you have any issues with your flat roof, are in need of a flat roof repair or simply wish to know more about our services, please email or call us and we will be happy to help in any way we can.